Home » Are Fibroids Preventable? Share the post "Are Fibroids Preventable?" 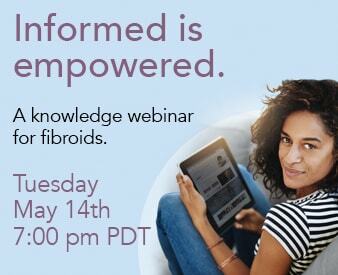 Fibroids aren’t preventable, but they are quickly and easily treatable, thanks to UFE! Read on to find out more about treatment options. In the event that one feels as though the presence of the fibroid is bearing a weight on their quality of life, it is suggested that they look into treatment alternatives. Many women that despise surgical methods and would rather treat their fibroid with a less invasive approach opt to undergo Uterine Fibroid Embolization (UFE). This procedure, considering one wants to keep their fertility options open, can be seen as a method of preventing recurrence of fibroids. After UFE, the femoral artery is blocked, or embolized, furthermore blocking the “food supply” to the fibroids. As a result, the existing fibroids shrink in size, eradicating those bothersome symptoms associated with fibroids. Although there is no way to necessarily prevent the occurrence of fibroids, the UAE procedure has the ability to treat fibroids quickly, effectively, and without the common issues associated with the more traditional surgical approaches. Only 5 to 7 days after the UFE procedure, women can go back to their daily routines and live life as they did before their fibroids. If you would like to learn more about fibroids or the UAE procedure, you may give the Fibroid Treatment Collective a call at 866-362-6463 and a qualified health professional will be available to answer all of your standing questions.